Valentine&apos;s Day is a day to celebrate LOVE and what could be a better time to let your dear ones know that you love them. Shop now for some exclusive valentines day chocolates, cookies and candies. 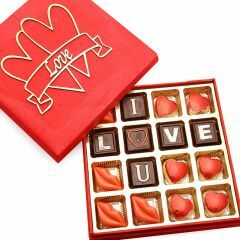 Rediff Shopping Indias largest online shopping portal brings for you wide ranges of Cute Valentines Day gifts for your girlfriend. 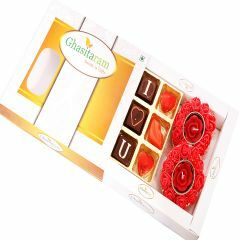 You may also gift her jewellery, watches, chocolates, cakes and more. Search now.